When it comes to choosing artificial lawns companies in Newcastle upon Tyne. You certainly need to do your research, not all companies are the same and neither are the brands and quality of the grass. 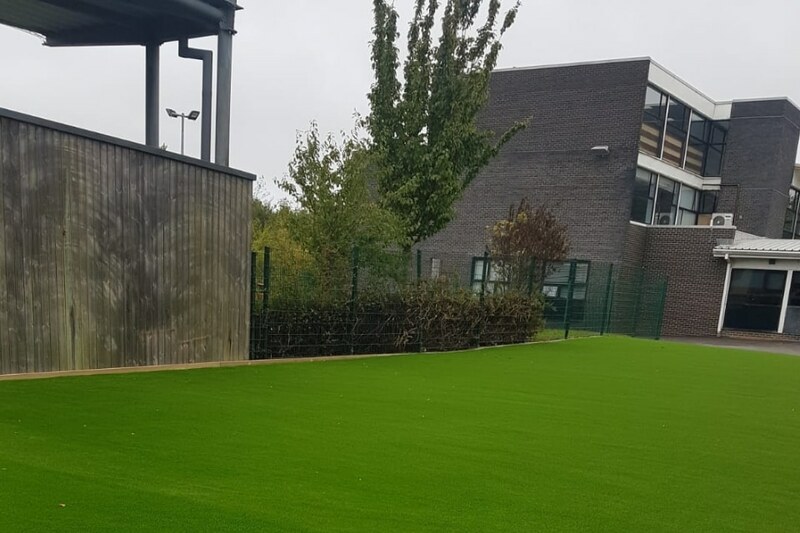 After almost 40 years of working in the landscaping industry, we certainly carried out our research before aligning ourselves with an artificial grass brand. We needed to ensure the artificial lawns we were installing were of high quality, natural looks and had great product guarantees. After quite a lot of research, we chose the LazyLawn brand of grass. 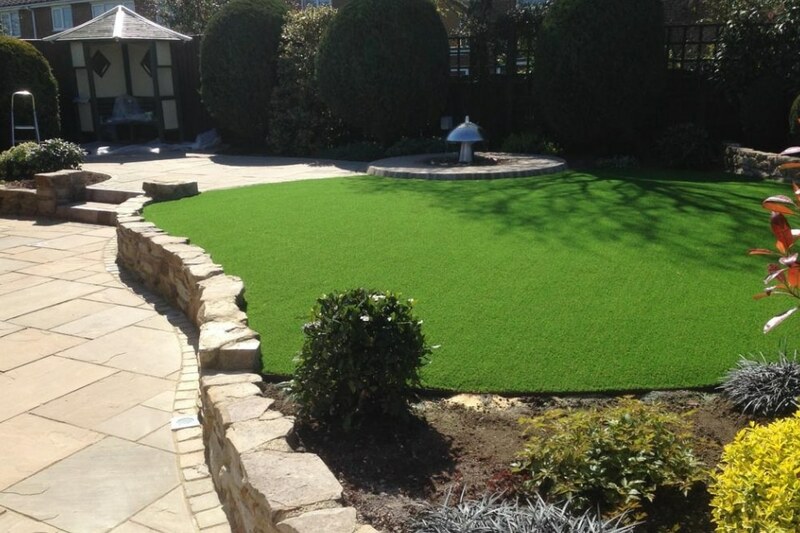 For your information, LazyLawn is currently the UK’s largest artificial grass supplier & installer. Only last year they won the Which? Best Buy award for artificial grass back in June 2018. Famous names such as Alan Titchmarsh and Amanda Holden have chosen to purchase the LazyLawn brand of grass including many national brands such as; Selfridges, JD Wetherspoon and Centre Parcs. 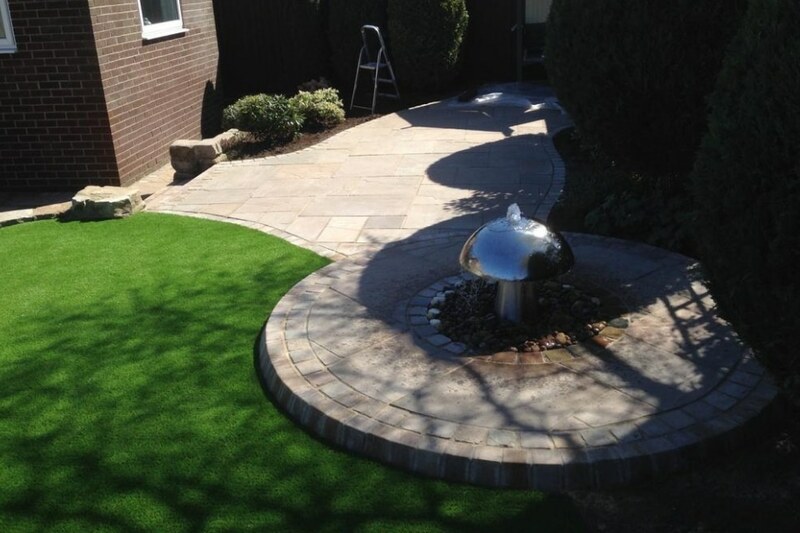 We carried out artificial lawn installation to both the back and front gardens. 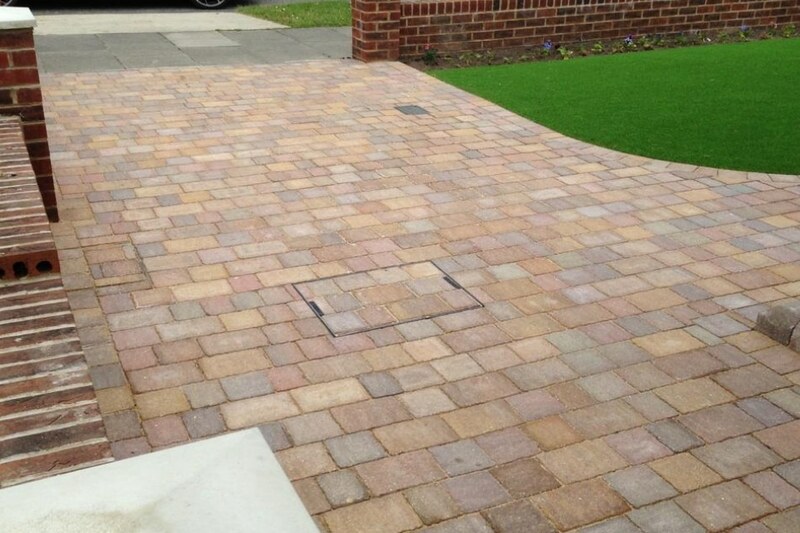 At the front, we also paved the area using tegular block paving and we installed Wonder Yarn 26mm. At the rear of the property, we paved part of the area using Indian Sandstone paving blocks and Wonder Yarn 36mm for the grass at the rear for its more softer natural looks. With many Artificial Lawns Companies in Newcastle and throughout the region – why choose us? 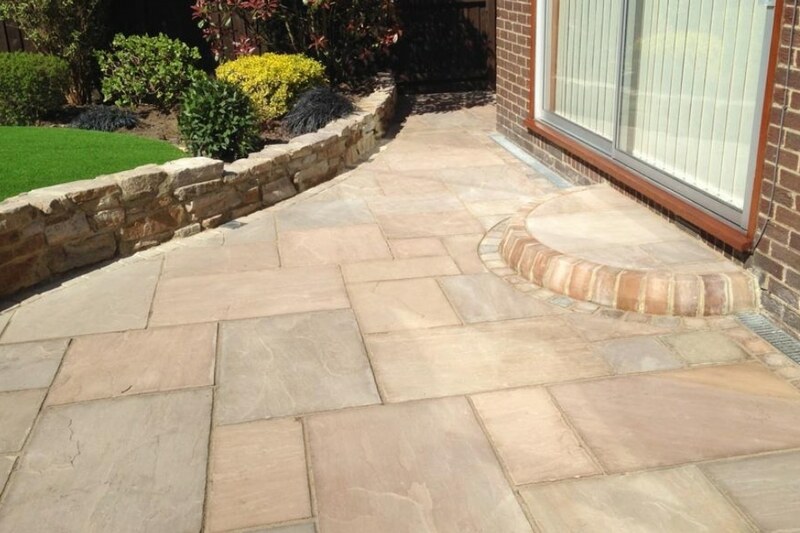 Not only do we have almost 40 years experience in the landscaping industry and a great eye for detail. 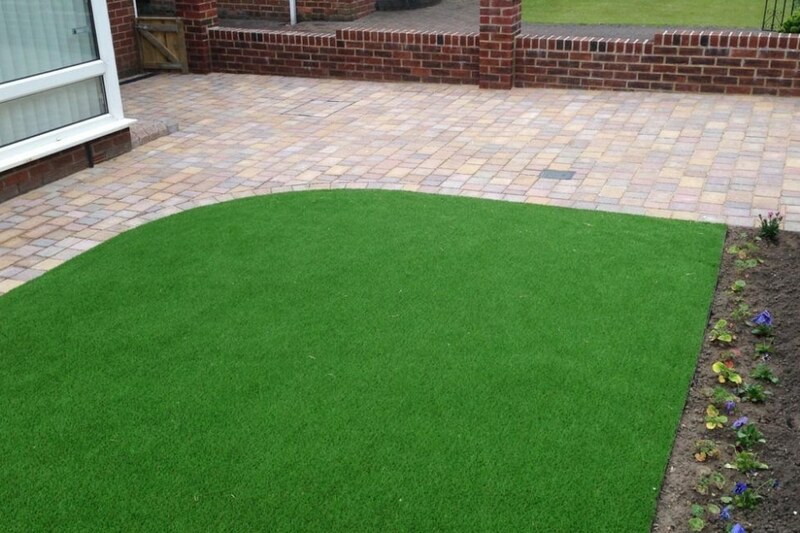 We are the prefered installers for LazyLawn in the North East region, offering excellent product guarantees. Furthermore, we have a range of finance options available for your installation, you can find out more about these on our finance page. Many projects can be carried out in just one day (subject to survey and size). With all projects professionally fitted with the least possible amount of disruption. 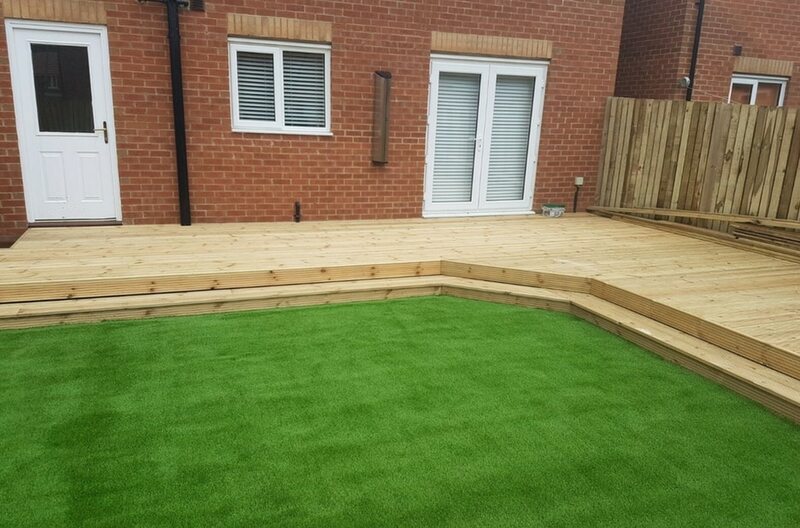 In addition to installing artificial grass, we can also add garden walls, planters, carry out paving, fencing, decking and much more. Sick of having muddy paws or footprints trailed into your house. 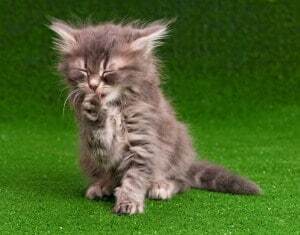 Cleaning up after pets is much easier with an artificial lawn. 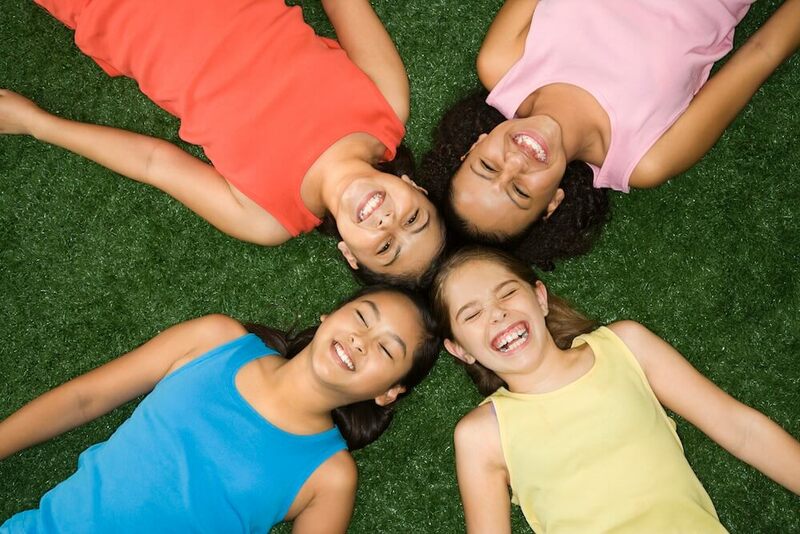 The virtually free maintenance of this grass is perfect for families and people with busy lives. With no mowing, no muddy footprints and no watering. Artificiall lawns are perfect for lawns, play areas, roof gardens, poolsides and events. From the smallest of gardens too much larger commercial projects, this type of grass can offer a trouble-free high quality solution to replace your natural turf. If you would like a quotation for your project, please get in touch, we have a wide variety of products to choose from including the popular Wonder Yarn. Wonder Yarn takes its name from the exclusive W shaped green blades of yarn which offer the grass a robust real looking lawn. Available in two pile heights 26mm and 36mm with the 36mm having a more softer authentic look. 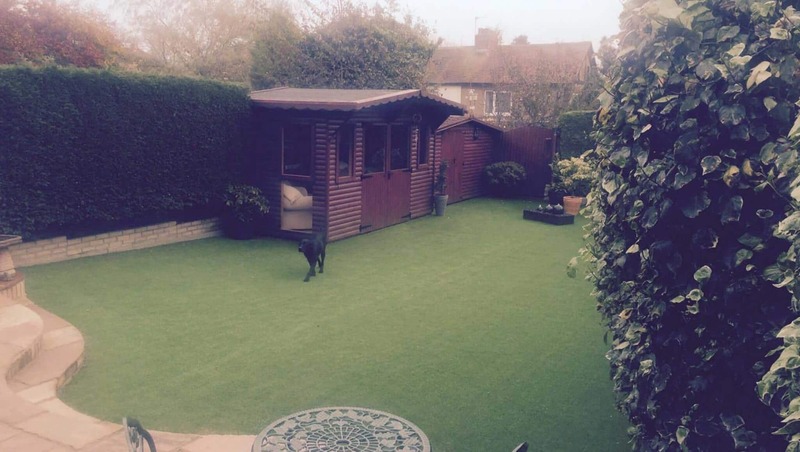 How do I find out more about the Artificial Lawns from Ian Howe Landscaping? You can find out more information about our lawns on our dedicated page. Finally, you can keep up with all our latest news, work and products by joining us on Facebook.